For more than 40 years, hospice has provided compassionate care for patients whose illnesses have stopped responding to treatment. It is designed to offer physician and nursing services, pain management, medical appliances and supplies, dietary counseling and spiritual support for patients who are dying. Because the typical life expectancy for mesothelioma is less than a year, this type of care is an option for many mesothelioma patients whose illness is beyond the curable stage. Patients and their families may consider hospice after their medical team predicts the cancer is terminal. As a patient, choosing this type of care does not mean you are giving up. As a caregiver, it does not mean you are abandoning a loved one. From the beginning of their treatment, patients require specialized medical attention, and hospice can relieve some of the stress of caregiving and ensure that a patient receives optimal end-of-life care. Because mesothelioma is resistant to treatment, compassionate palliative care can bring relief to the patient and to loved ones. Mesothelioma often weakens several major bodily systems. The respiratory system is typically most heavily affected, and many patients experience shortness of breath or difficulty breathing. Hospice workers know about specific positioning techniques and can help a patient stand, sit or lay in a way that would optimize airflow. A compromised digestive system may make it difficult for a mesothelioma patient to intake adequate nutrients and fluids. Hospice teams can create customized plans to ensure patients are appropriately nourished and hydrated. Hygienic needs can also be addressed by the nurses at these facilities. Workers may administer additional medications to help reduce the pain caused by late-stage mesothelioma. Because of its ability to reduce breathing stress for patients with lung diseases, morphine is commonly prescribed to pleural mesothelioma patients. Hospice can also offer alternative painkillers to reduce related discomfort. Workers are allowed to review the medications a patient is taking to determine the most appropriate way to control pain. This type of care extends beyond the physical aspect and incorporates emotional, social and spiritual support when requested. Support groups are open to patients and their families, while counselors can help a patient and loved ones come to terms with the realities of a terminal disease. Workers can help with end-of-life arrangements such as wills and advance directives like do-not-resuscitate orders, and they also offer nondenominational spiritual counsel for patients who wish to participate. After a patient passes away, the program continues to offer support groups, counseling and bereavement services to the family for an extended period. If you are a mesothelioma patient with a prognosis of less than six months and have discussed the hospice option with your family and medical team, you may initiate the process by asking your doctor for a referral. Some doctors will suggest the program to the patients when their clinical symptoms and progress indicate that it would be the most beneficial mode of care. An oncologist can sign the necessary paperwork indicating that the patient’s condition makes them eligible for this type of care. Depending on your location, you may have multiple choices for where to receive such care. Mesothelioma patients may be treated on either an inpatient or outpatient basis. Outpatient care offers the traditional services in the comfort of the patient’s home, while inpatient care is given to patients at residential facilities, nursing homes or specific hospice communities. There are more than 4,700 hospice programs in the United States, many of which are certified by Medicare as upholding specific standards of care. With so many options, you will want to discuss the care you can obtain from a program with their medical director or admissions department. Be sure to ask about their experience with mesothelioma or lung cancer patients; just like choosing a mesothelioma doctor, you will want to choose a facility that is familiar with the complex aspects of caring for someone with your condition. In 2006, more than 965,000 hospice patients were granted access to their care through Medicare, but other insurance companies may also contribute to the out-of-pocket cost for the program. 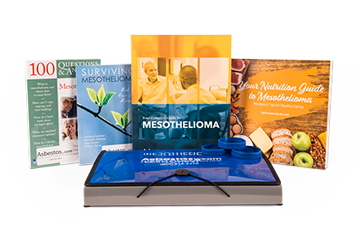 Additional financial assistance options may be available to mesothelioma patients seeking this type of care. Hospitals and treatment centers have local hospice contacts for patients and family members who want to look into end-of-life care. There are also ways to research hospice on your own. One good option is Hospice Compare, which provides a list of the recognized providers in the United States. Using the search is easy, and the website also has additional information about what to look for in a provider.